If you are like everyone else these days, you’re trying to come up with ways to lower your electric bill this winter. Although it has been an unseasonably warm winter in some parts of the country, others have not been spared the wrath of Old Man Winter, which means the temptation to turn up the heat is always present. But don’t succumb to that temptation! All you need to do to lower your electric bill this winter is to be mindful of a few simple tips. By resisting the urge to turn up the heat and turning your thermostat down, you can reduce your energy consumption and lower your electric bill. With a programmable thermostat, you simply program the temperature according to time of day without the need for adjusting it manually. 2. Stay Warm in Winter by insulating your home. Check the insulation in your home, from your walls to your pipes, to reduce the need for heating and save money on your electric bill. Wrapping extra insulation around pipes gives your water heater a break from working so hard during the winter months, and it helps keep the pipes from freezing. 3. Wear warm and comfortable clothing. One of the most effective ways to keep warm in the winter while enjoying a lower electric bill is to dig deep into your closet for the warmest sweaters and the fuzziest slippers. These will keep you warm and prevent you from turning up the heat unnecessarily. 4. Replace your air filter. The key to energy-efficient central air and heating systems is ensuring that the HVAC works properly. One of the ways to do that is making sure that the air filter is clean so that the unit doesn’t work as hard. 5. Lower the temperature on the water heater. Lowering the temperature a few degrees on your water heater can surprisingly shave some money off your electric bill. In addition, if you’re going on a winter vacation, turning off the water heater while you’re gone is another way you can save money. Using your appliances strategically can be very helpful when striving to lower your electric bill. For instance, drying loads of clothing consecutively rather than waiting between loads minimizes energy consumption because the unit remains warmer longer. Washing clothes in cold water during winter lowers your electric bill by keeping the water heater from working so hard. 8. Avoid Winters cold air by Checking for leaks. It is absolutely essential to check your doors and windows for leaks, openings, and broken seals. Caulking, weatherstripping or replacing seals on your windows and doors as necessary keeps cold air from coming in or hot air from escaping and keeps you from spending unnecessary money. 9. Check that your appliances work properly. Appliances that don’t work properly are an energy drain on your home. Be sure to check that all appliances are cleaned, repaired, and working properly. If you prefer to simply replace your appliances, be sure to do so with Energy Star models that focus on efficiency. 10. Consider a prepaid electric bill plan. One option not often discussed is the possibility of switching from a long-term contract to a prepaid service plan with an electric company that gives you the option to pay only for the electricity you use. This will keep you from paying for energy that is not being used and it will also give you an idea of what your energy consumption is so that you can better plan and budget for the winter months. 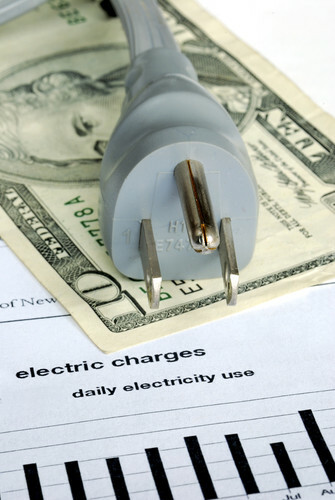 What are you doing to lower your winter electric bill? If you’re interested in learning how to lower your electric bill by using prepaid electricity in Texas, check out Payless Power. Offering low-cost energy plans to suit both personal and business needs, Payless Power is a company committed to providing people not only with some of the best electricity rates in Texas, but also with helpful customer service. Visit the website to learn more about how to save electricity at home, or connect with the online community on Facebook, Twitter, and YouTube.